Continuing the cooperation with Heden, from August 1 to November 1 Kim? hosted Dutch artist Arianne Olthaar. During her stay in Riga the artist focussed on 1980s architecture and specific (-ly located) public interiors, e.g. 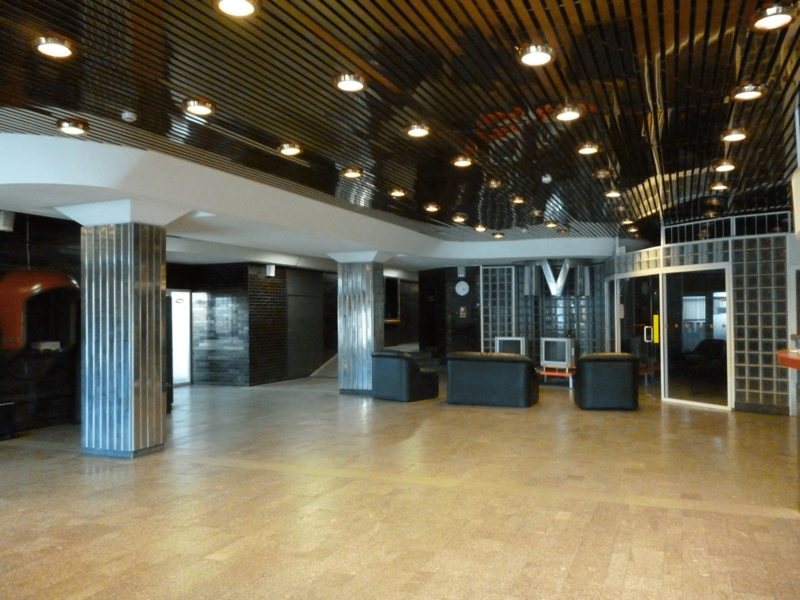 the former restaurant “Vēja Roze” in the Riga Radio and TV Tower, and the lobby in the Latvia TV Broadcast building. On October 27, 7 p.m., Arianne presented her work to the audience with photos, models and films. Arianne Olthaar is making short experimental films and miniature models. Fascination with the transitory of the ideals and design of the 1970s and ’80s is an important starting point for her work. Olthaar’s main focus is on interiors in public spaces that were designed for a specific function: nightclubs, zoo enclosures, dining cars, etc. Artist remarks, “I am interested in the fact that they were designed to create their own atmosphere, to exclude/deny reality”. These are interiors which expressed certain luxury and modernity at the time they were created… As for today, they have taken on the aura of faded glory, are valued inferior, and therefore disappearing fast through renovation or demolition. At her evening at kim? Arianne Olthaar will show photos she has mainly taken in Latvia (some in Vilnius, Talinn, Tartu) during her three months residency, and images from architecture-books devoted to different themes on the architecture of 70s and 80s. She will also present a newly made model of a typical ’80s interior. The artist says that the title “Vēja Roze, h 93 m” is in a certain relationship to her previous work, and it also takes an important place in the time she had in Riga. Opened in 1986 but since many years closed down and dismantled, the restaurant intrigued her; situated in a prominent building, isolated, luxury, almost absurd (having a restaurant in such a specific location and at such altitude) and, of course, very much connected with the 1980s. During her residency in Riga, Olthaar has also made super 8 film shootings from exteriors and interiors of the train station Dubulti, lobby in TV Centre building’s lobby and exterior of the TV Tower. This material will be developed in a new short film. Arianne Olthaar (1970) has graduated from the Royal Academy of Art in The Hague in 1992. Her work has been exhibited at various solo, duo and group exhibitions. Her films have been screened at international film festivals including the International Film Festival Rotterdam, Oberhausen, New York Film Festival, and Cinematexas.